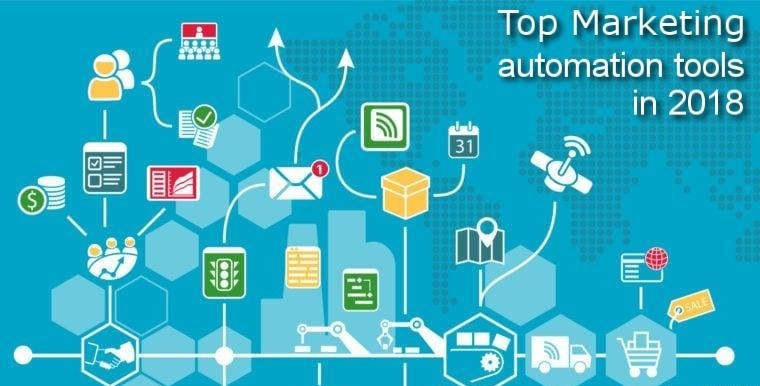 What would you expect from top marketing automation tools? How exactly would you rank marketing automation software available today? And even if you found some top-rated marketing automation software, what criteria would you use to figure out if which of them suited your business? When Harvard Business Review, in 2014, rated marketing automation as one of the top 7 technologies for companies to use, it wasn’t a case of misplaced enthusiasm. Marketing automation tools have most certainly lived upto their fame; the level of sophistication, insights and speed they’ve brought to marketing is simply amazing. And yet, as recently as August 2016, Huff Post reported only 15% of companies have advanced marketing capabilities, so businesses haven’t embraced marketing automation as warmly as they should have. That presents a tremendous opportunity to mid-sized business to exploit automation and enter the big-boys’ club. Irrespective of the level of acceptance, what is sure is that marketing automation solutions have evolved so much they have almost changed the definition of marketing automation. What is marketing automation and what are the benefits of automation software? Marketing automation is a technology-enabled usage of software and strategies that hugely simplifies, automates and speeds up marketing tasks like campaign management, customer segmentation and responses based on actions taken by customers and prospects. Marketing automation software is powerful because it can efficiently take up repetitive tasks such as social media actions, emails and even website updates. Automation tools can take care of almost entire portion of your email marketing campaigns – our earlier post analyses in detail the 3 key dimensions of email marketing in 2018. It helps build a powerful sales funnel, nurture prospects with targeted, personalized email campaigns, share useful content with prospects at the right times and constantly take them to the next stage of the marketing funnel. In other words, marketing automation platforms can optimize most marketing processes from lead generation process to cross-selling and customer lifecycle marketing. From the large number of marketing tools available (and the list keeps growing by the day), we present a review of the 4 best marketing tools that have different strengths. First things first: it is a combo of CRM and marketing automation tools. It scores high due to the fact that it powerfully combines CRM functionality and marketing automation. As their name suggests, LeadSquared has an efficient lead conversion process. Its lead conversion prediction seems to have been built on a strong algorithm. The feature we loved the most was the prospect conversation paths they have sketched out. The LeadSquared system allows you to set Triggers, Conditions and Actions, all of which are based on the performance of the prospect. You email a prospect; if she opens the email within a day, you classify her as a warm lead and a different email follows soon. If she doesn’t open the email in a day (or three, or whatever), the address can be moved into a separate list, which is set to take some different action. Pricing: The Basic plan begins at US$ 200/mo. It allows you 5,000 contacts and includes features like drip marketing, email campaigns, lead-scoring and landing pages. It offers a free trial to test its major features. If your usage goes above your subscription plan limit, LeadSquared will contact you and offer possible alternatives. You can upgrade anytime, but if you downgrade your plan, you’ll have to wait till the end of your subscription term. Our take: Frankly, we approach with caution services that offer combos like marketing and CRM. If you want a good eraser, buy just an eraser; don’t buy a pencil that has an eraser, because erasers fitted into the back of pencils aren’t nearly as good as stand-alone erasers. Thankfully, this belief doesn’t apply to LeadSquared. They have 3 three primary products (Marketing Automation, Sales + Mobile CRM and Lead Conversion Platform) and each of them seems to be doing fine. As noted above, LeadSquared focuses a great on, and excels a great deal too, tracking recipient behavior. You also get to see page views and CTA clicks. To us, this is the best feature of LeadSquared. No list of a comparison of marketing automation tools can be said to be complete without HubSpot. It has so many things to offer you’re probably spoilt for choice. The best part is HubSpot helps you design your communication based on earlier behavior patterns and choices of your recipients. You can line up a sequence of emails, which, once set up, will be automatically triggered based on the action the recipient takes – or does not take! You can also launch professional-looking landing pages, something that’s vital to the success of web-based businesses. There is a rich library from which to choose your landing pages. Finally, you can easily insert forms that visitors can fill up. Pricing: Plans begin at US$ 200/mo, which comes to US$ 2,400/yr. It’s compulsory to buy onboarding plans, i.e. initial training, when you sign up for any of the plans: it is US$ 600. That means your estimated investment to begin working with HubSpot is US$ 3,000. Note that you need to pay for a year upfront, irrespective of the plan you opt for. The spirit behind this is convincing: you’re in for long term, and you cannot expect huge changes in a month. So it makes sense to partner for at least one year. Having said that, some businesses may find this condition a little discomforting, since it strongly discourages you from switching over to another service provider quickly. Using HubSpot’s free marketing tools, you can collect upto 1 million contacts. Beyond that, you will need to pay for that. Our take: It’s hard to find loopholes with HubSpot. Apart from the great features with the paid plans, they have a neat bundle of free training tools and certifications that can help simultaneously improve your team’s marketing skills. All the same, HubSpot’s pricing is on the higher side. If you are an established business with a good of deal established marketing processes and you know where you’re going, HubSpot is for you. But if you’re something of a startup, where there’s a lot of fuzzy things going around and things aren’t quite in place, you won’t be able to take the full advantage of what you pay for. One thing that’s interesting about InfusionSoft is that it is doing a great job in handling response actions. There is a tag removal feature which will automatically pull contacts from a marketing campaign and place it into a separate database, if the recipient performs a certain action. Conversely, you can also decide when to remove a contact from your mailing list. Let’s say a contact hasn’t opened the past few emails in a row. That could be because of a number of reasons, but most of them point towards the idea that the recipient isn’t interested in what you offer. So you can set your campaign to remove the contact from your mailing list if they don’t open, say, four emails in a row. It’s time marketing automation tools got smart, like this. Pricing: Plans begin at US$ 80/mo under the current offer (as against US$ 99/mo normallly). For upto 500 contacts, you get unlimited number of emails under 1 user account. To even the basic plan, you can add Sales Pipeline (US$ 59) and Ecommerce (US$ 59) if you need to. Even the basic plan offers you the facility to collect payments. InfusionSoft can set you upto to collect through AmEx, Visa and MasterCard with their help. Our take: InfusionSoft has a great integration platform, which claims you can save 28 hours a month using the integrations. We aren’t sure of the numbers, but integrations are sure very strong. Firstly, it claims to be Small business CRM, Sales and Marketing software, but their onboarding fees of US$1,999 is surely on the heavier side! The good news, it’s currently at US$ 299, which quite a steal. Otherwise, we’d certainly have a hard time agreeing to the US$1,999 (we’re stuck there, aren’t we!). While we don’t have a first-hand experience with the starter sessions, we have heard they are great motivators too! While we agree with their tagline (“End the multi-tool chaos”), we had a less than prompt experience with their online chat the moment we feigned we were a small business with very tight budget. While one experience cannot really show the larger picture, we were certainly surprised that the chat didn’t surprise us. Their best part is the way they can capture leads from your social media platforms and place them in your CRM. ContactPigeon had our attention because of their focus on Analytics. After all, without business intelligence, there’s no marketing automation and there’s no marketing automation tool either. The tools seem to have been designed keeping in mind how visitors behave and when it would be best to serve a pop-up message. It doesn’t have its own CRM, but its real-time API fits in snugly with pretty much any CRM you might be using. Their segmentation didn’t impress us as much as their analytics did but it was pretty neat. Pricing: Plans begin at US$165/mo (Standard Plan), which support upto 10,000 subscribers. One interesting feature, even in the Standard Plan is the daily synch to product catal6ogue, which is one big trouble off your back. Higher plans include predictive analytics, dynamic coupons for supported platforms and dedicated IP, as and when required. There is a 14-day trial period with which to check out all the features. If you drop out midway through the plans, they will save the data for you till you return. However, considering that the GDPR is going to be in place by May 2018, we are assuming they will be able to save your data only upto 90 days from the date you cancelled. Our take: One of our business colleagues says ContactPigeon is a startup’s HubSpot. What he meant was the pricing and the associated features suit the tight purse strings of a bootstrapped business. We aren’t very sure if that’s the right way of looking at ContactPigeon. What we do agree with is that the range of features is quite limited. We also agree this may not be the #1 choice of a Fortune 50, but there’s a huge lot of things ContactPigeon can help you get done at a fraction of the price. We think this is a great value-for-money platform. Sure there’s a thing or two they could add to the services kitty, but even with their current offerings, we feel they more than deserve to be ranked with older, established giants. Finally, we’ve been told is their support team is amazing and they actually seem to care for your success. Now that’s something. We’ll adding more to this list so keep coming back. And don’t forget to let us know what you think of this post! Thank for compiling this list. This article is very informative. Thank you Punit. Glad you found it useful. Feel free to share it! Thanks for stopping by, Tama!